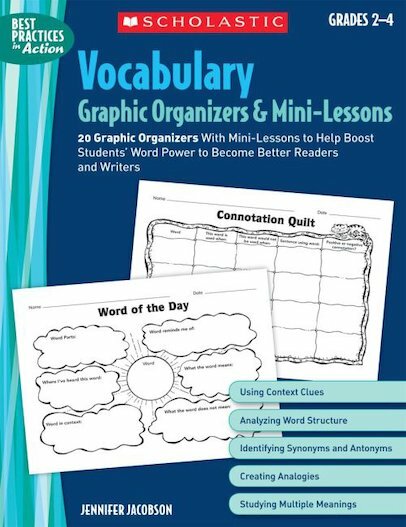 Help make new vocabulary stick with 20 engaging graphic organizers! Designed for flexible use, they can be used to reinforce any words. Interactive mini-lessons introduce each organizer; then photocopy for homework, class work, group work, assessment, and more. A great way to make learning visible and memorable! For use with Grades 2–4.